Genre: Travel writing - with recipes! Description: This is amazing,’ I said. ‘You have to give me the recipe.’ ‘There is no recipe,’ he said, smiling. ‘I use whatever I have. It never tastes the same way twice.’ I had no way of knowing, that first damp evening in Paris, how this man, and his non-recipes, would change my life. Has a meal ever changed your life? Part love story, part wine-splattered cookbook, Lunch in Paris is a deliciously tart, forthright and funny story of falling in love with a Frenchman and moving to the world’s most romantic city – not the Hollywood version, but the real Paris, a heady mix of blood sausage, pains aux chocolats and irregular verbs. From gutting her first fish (with a little help from Jane Austen) to discovering the French version of Death by Chocolate, Elizabeth Bard finds that learning to cook and building a new life have a lot in common. Peppered with recipes, this mouth-watering love story is the perfect treat for anyone who has ever suspected that lunch in Paris could change their life. My thoughts: I really enjoyed this book. It is a true story, about how American Elizabeth comes to Paris for a boyfriend and gradually builds her life there with him. I've done a fair amount of traveling and one of my favourite things is discovering food in a new place, so it's not surprising I enjoyed how much Elizabeth talks about food in the book. Each chapter also ends with a recipe for something that was talked about, eaten or relates to the chapter. I haven't tried making any of them yet but I definitely will sometime. The other thing that I could really identify with and relate to was the culture differences Elizabeth describes, as an American living with a Frenchman. I lived in the USA for a year and for a long time had an American boyfriend, and there are some situations Elizabeth describes which happen very differently in the USA compared to Europe which I was completely nodding in agreement with. Her boyfriend (now husband) just couldn't get his head around how certain things are done in the US, and vice versa and I could completely understand. I think this book is very well written and incredibly well-paced given that it is autobiographical. The food is a central part of the story, which I loved, and I think including the recipes is such a great idea. I highly recommend this book, and I'm giving it 8/10 stars. 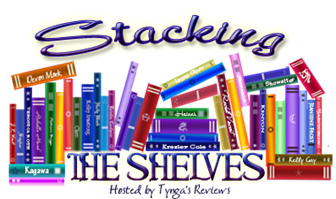 Stacking the Shelves is a weekly meme hosted by Tynga's Reviews as a way to share the books you've acquired in the last week. I received three books this week, all of which I'm looking forward to reading. Description: France, 1399: The Duke of Brittany is dead and his widow, Joanna of Navarre, has inherited control of their land - a testament to her intellect, integrity and political prowess. Then comes an unprecedented proposal from Henry IV, King of England. The price of becoming his Queen? Abandoning her homeland, leaving her children and sacrificing her independence. Henry’s hold on the crown is unsteady and war is brewing. With the constant threat of rebellion, Henry will trust no-one – not even his new Queen. Crossing the channel is a dangerous prospect. But the union between Joanna and Henry would bring the chance of a vital alliance between two proud states – if they will allow it. One question. Two paths. A choice that will make history. 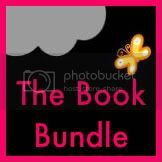 The third book is Prudence, by Gail Carrier. I've already read & reviewed this one, but I had a library copy. I got this one from someone who attended the recent 'Drink YA' event in London, which was a lot of fun and I'll be blogging about it tomorrow. You can see my review of Prudence here. 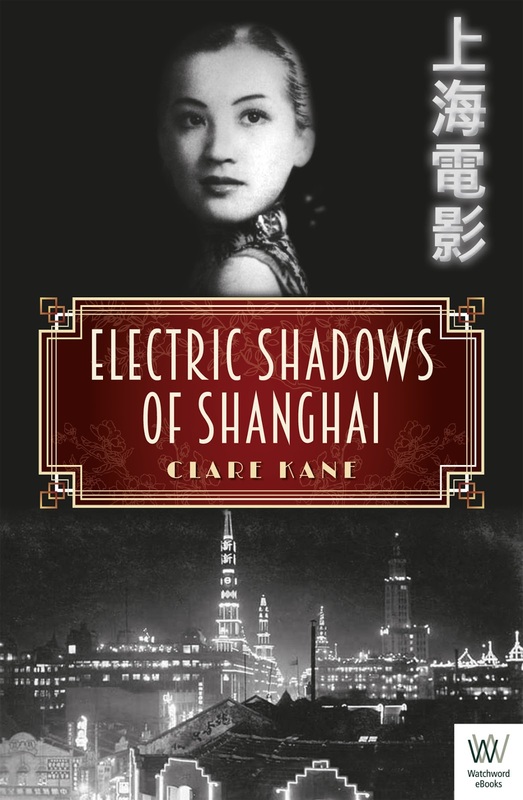 Description: It’s 1931 and British diplomat William Graves and his wife, Amelia, are flung headfirst into the enticing, neon-lit streets of Shanghai. As Will helps to maintain the fragile peace between China and Japan, Amelia, alone in a foreign city, seeks solace with a Russian ballet troupe that are more than they seem. Whispers of protest, revolt, even war, buzz through the city as Will is tasked with rooting out Communist propaganda that could push tensions over the edge into war. But the city’s streets hold other intoxicating allures. Will falls into a deep obsession with Feifei, a beautiful silent film star, who is desperate to escape the volatile city and sees Will as her only chance at freedom. As Amelia starts to sense Will’s betrayal and the personal and the political begin to blur, will they lose themselves in the electric shadows of Shanghai? My thoughts: The plot is fairly straightforward as it's described in the blurb - Will has recently started a job at the British consulate in Shanghai and quickly falls for the silent film actress FeiFei. In the first half of the book, you see that almost no one is as happy as they seem on a first impression and everyone has secrets. I think this could have been made more significant by the author - there were no build ups to the reveals, and while these were 'secrets' some, like FeiFei's unhappy relationship with her much-older husband were predictable and easy to guess. What I liked most in the story was seeing Shanghai in this time period. I've not read much set in that part of the world and anything set even close to this time period was not seeing the side of the world that Will lives in - wealthy, able to take advantage of anything. That leads me nicely on to the other thing I enjoyed - Amelia becoming friends with a Russian ballet dancer and helping her recruit girls for a Shanghai ballet company. Only the girls they are taking on work as dancers in illicit clubs. There is corruption, spying, several unhappy marriages and a lot of social climbers. It's definitely an interesting look at Shanghai and what it could be like for people in various social situations in the 1930s. Description: When novelist Owen Quine goes missing, his wife calls in private detective Cormoran Strike. At first, she just thinks he has gone off by himself for a few days - as he has done before - and she wants Strike to find him and bring him home. My thoughts: I haven't read the first book in the series, but as with many crime novels, that didn't matter. I got enough of an introduction to the characters to understand who they were and the significance of various things, like the financial difficulties Cormoran is experiencing through most of the book. I also thought there was a good amount of character development over the course of the story, and a believable amount for the three weeks or so that the story covers. The relationships between the characters are also developed over this story and that's what makes me want to read book three, Career Of Evil - I want to see what happens next in their personal relationships and other changes that you can start to see in The Silkworm. It also might make me backtrack and read the first one, so I can see where everyone started out, particularly how things were between Robin (his assistant) and Cormoran. In terms of the mystery, I liked it a lot, although the details from the book the murder is based on were quite gruesome in places! All the evidence was given to the reader, which I liked - all the clues were there, even if I didn't catch all of them. 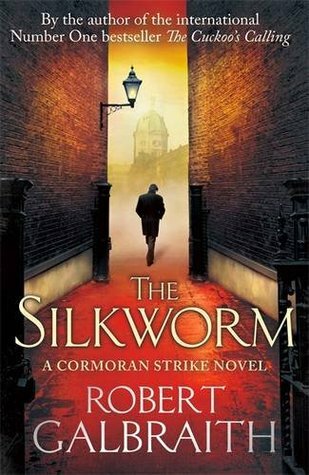 Once Cormoran Strike has figured out who the murderer is, however, things get a bit cagier - Robin is sent on an unnamed mission to find certain bits of evidence, and readers aren't told what that is until the 'big reveal' at the end. While that didn't bother me, I know it's not everyone's favourite thing. I'm giving this one 7/10 - I'm not rushing out to buy book 1 or 3, but if I stumble on them at a good price second hand somewhere, I'll read them. Description: Keladry of Mindalen, the first girl to train as a knight since Alanna, is officially a page now, but she's got three more years before she'll be a squire. And those three years are not going to be easy. Kel has to stand up against bullying boys, cruel older sisters, and, as always, the training master, Lord Wyldon! 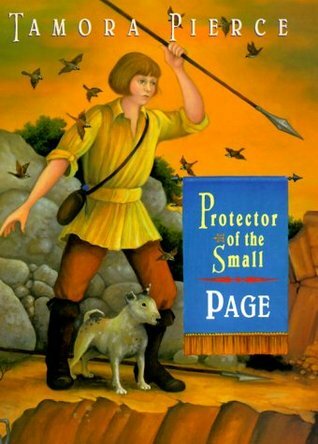 My thoughts: I love Tamora Pierce, and reviewed the first book in this series earlier this year. In this instalment, Kel continues through her training. It goes quite quickly through the remaining three years, building up to the graduating exams which she'll face at the end of her fourth year. I enjoyed seeing how Kel's classmates come to accept her (with a few notable exceptions) and the new friendships she forms with animals, staff, teachers and other pages at the castle. It was a nice summer afternoon read and I was glad I could go straight on to the sequel when I was done. It's hard to rate this one - it was a good story, and entertained me for a few hours by the pool, but it wasn't a standout top book of the year. I'm going to say 7 for this one, I think. Welcome to Stacking the Shelves! StS is a weekly meme hosted at Tynga's Reviews. I haven't received or bought many books this month - I'm trying really hard to cut down on books I buy until I've cut my TBR pile down a bit. I had a big life change this month as well: I moved from Scotland to London, and started working at a publisher. 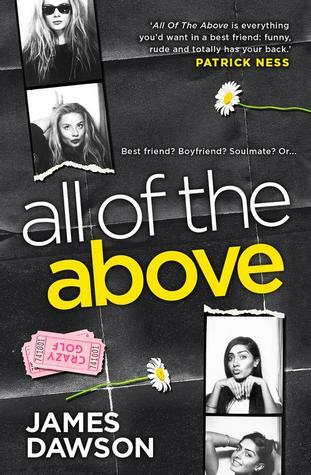 All Of The Above, by James Dawson - I won this from George Lester's Youtube channel and I'm so glad I got the chance to read it. 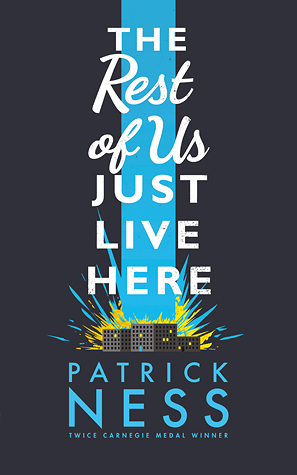 It's about Toria, a girl going in to her penultimate year of high school, starting at a new place in a town her family have just moved to. It's about friendship, eating disorders, self harm, figuring out your sexuality, and a whole lot of other stuff - basically being a seventeen year old at high school! I'll review this one properly soon, but I really think James hit the nail on the head with what the experience of being that age is like. It's not neat and tidy, there's always a lot going on. my parents, it's the only book I asked them for, but I wasn't expecting to actually get it - it's quite expensive for a book. It's so beautiful and I really like it. The illustrations bring it to life in a new way - some similarities to how things are shown in the film, and some things which are more like how I imagined scenes, or something totally new. If you're a Harry Potter fan, I highly recommend this one. 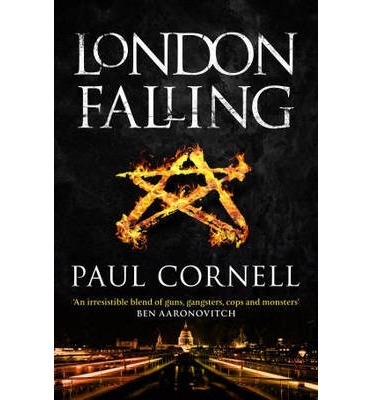 London Falling, by Paul Cornell - I also got vouchers for audiobooks for Christmas, and this is the book I chose. I've just started it so I'll talk more about it in a review when I'm finished. It's about a London police team dealing with a magical suspect. What books did you get in December? Leave your links in the comments and I'll check them out!